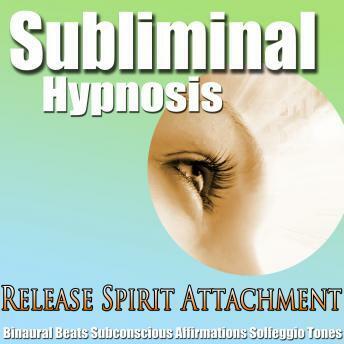 Release spirit attachment using this subliminal hypnosis program. By using subliminal techniques, your subconscious mind will receive subliminal messages that will help you release from spirit attachment, heal your energy, and let go of any negativity you may be holding on to. Let subliminal hypnosis help you let go and get your life back. Just simply sit back and relax, and let your subconscious mind do all the work for you! Don't wait another day. You can release spirit attachment and start healing today.